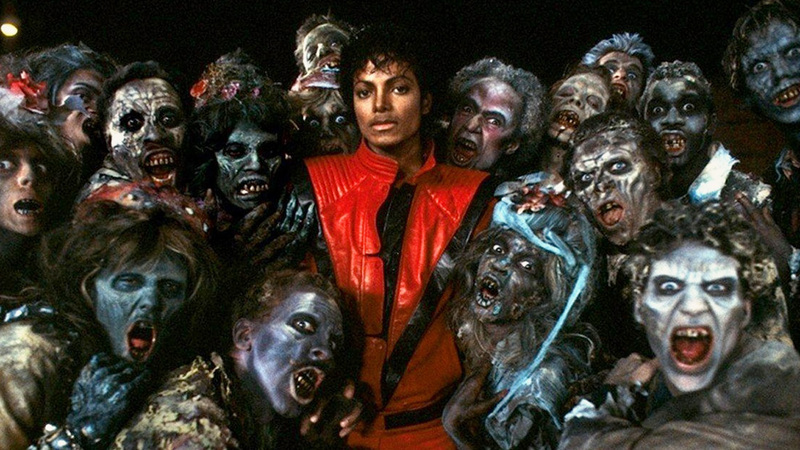 Now through Thursday, September 27, Michael Jackson’s Thriller 3D is playing in IMAX preceding The House with a Clock in Its Walls. I’ve gone twice in three days to see it. I stayed for House one time and used two Stubs A-List reservations on Thriller 3D because it was so amazing. Here are 10 reasons I strongly recommend the experience. 10. Between the opening title card (so wiggly) and the credits, the 3D text jumps out at you. It also looks amazing as foreground as the zombies reprise the "Thriller" dance in the background during the end credits. 9. The song has never sounded better. 8. 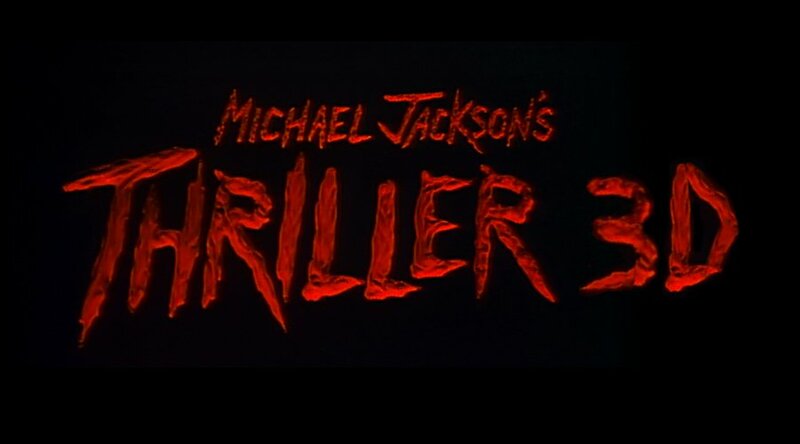 I grew up watching :Thriller" in non-HD on television or off a VHS tape. Since it had been years since I sat down and watched the music video, seeing it in IMAX 3D was like seeing it for the first time again. It’s never looked better. You can see how wet MJ’s hair is! It’s very! 7. Hearing Vincent Price’s voiceover with optimal sound was a real treat. It made me realize I haven’t had that pleasure (in a non-revival theater) since Edward Scissorhands. It was affecting in a nostalgic way. 6. The zombies rising out of their graves felt real this time. With stadium seating, it makes it seem like they’re going to climb up each row until they arrive in yours (and eat your brains). 5. Seeing Rick Baker’s astonishing make-up effects on a big screen helps you appreciate them even more. I’m stunned this video didn’t terrify me as a kid. I think having the making-of doc at my disposal helped me contextualize the experience. 4. I can't get enough of the depth of field from the 3D. My favorite moment was when Michael Jackson and Ola Ray are standing outside the movie theatre and you can vividly see every poster, the box office, and even the people inside the theater purchasing concessions. It’s so well done that I felt like I was immersed in a VR experience. 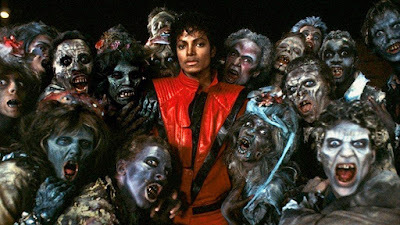 Also great is the moment when MJ turns into a zombie and leads the formation of other zombies in dance. It really adds to the choreography. "Thriller" works so well in 3D it amazes me that director John Landis didn’t have it mind when he directed the music video. 3. The moment at the end where Michael Jackson reveals that he has cat eyes again is a very uncomfortable, slow zoom-in when seen in IMAX 3D, but in a fun/scary way. 2. You then get to see The House with a Clock in Its Walls and it’s pretty good! Spooky kids’ movies fit director Eli Roth surprisingly well. 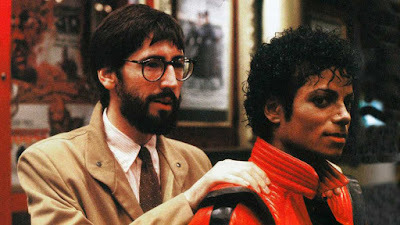 I have to say, though, it was sad to come down from the high that was Michael Jackson’s Thriller 3D. 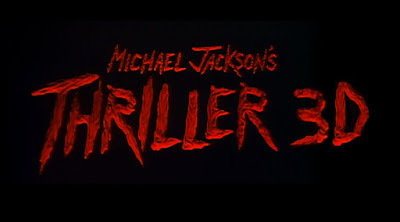 They need to re-release it with Captain EO, Michael Jackson’s Ghosts, and close it out with Moonwalker - all in IMAX 3D. 1. The closing freeze frame...I don’t want to spoil it. They added something and it’s phenomenal. This is a great way to pre-game #ScaryMovieMonth. One more week! I'd be all over this if the nearest IMAX theater wasn't a 4 hour drive away. If anything, Adam is underselling how GREAT this is... Sunday night Adam and I were texting about it and agreed that it's the best thing we have seen on a screen all year. I'm going back to see it again today, only I'm not going to waste one of my precious A-list admissions, I'm going to sneak in. Did you take the glasses with you? Planning to stick my hand into the barrel at the exit and (YECH) pull out a used pair! I like it. This is like Operation Thriller. If you get caught just say "If I want to see Thriller, I'm going to see Thriller. Because I can."